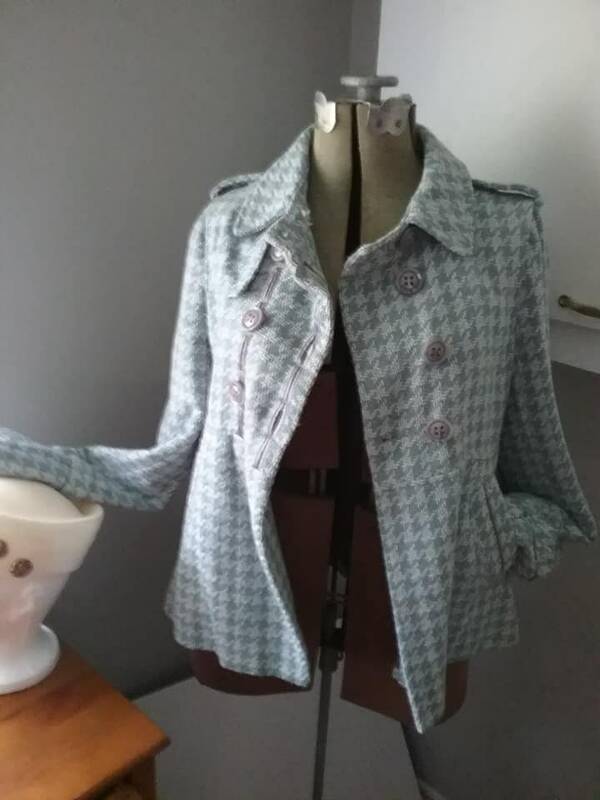 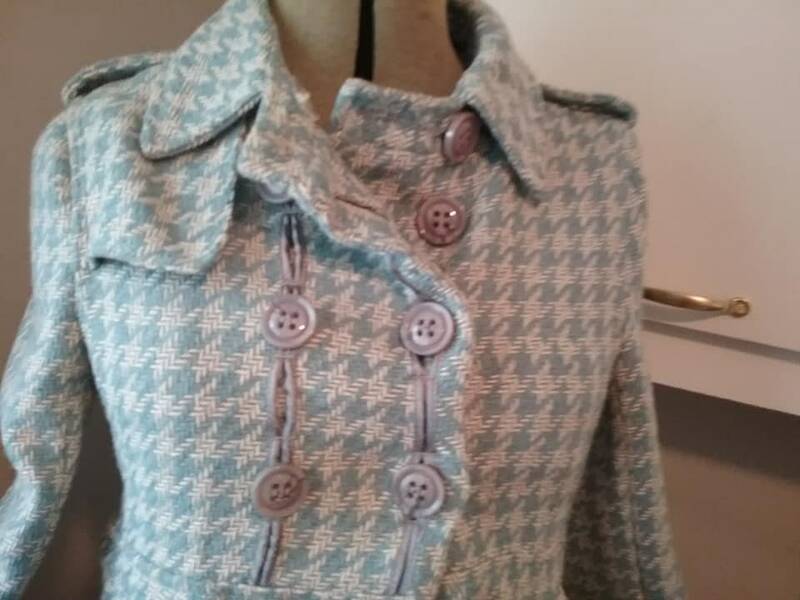 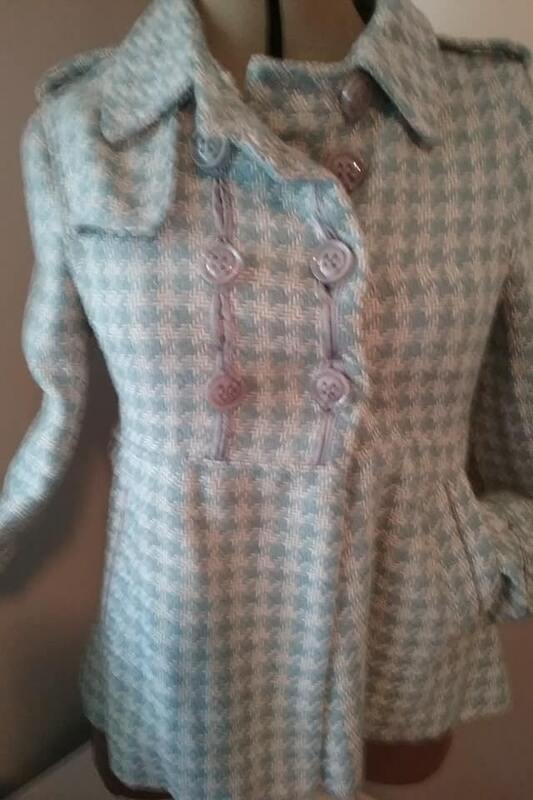 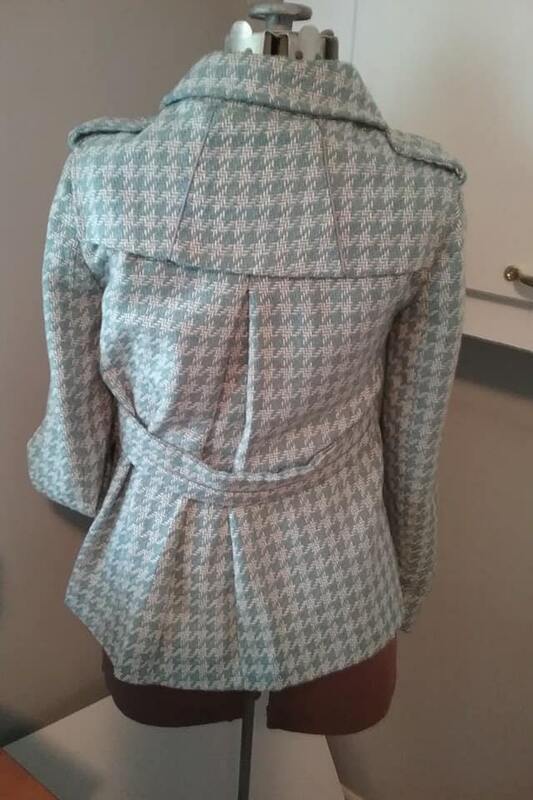 Women's vintage swing coat in light blue and cream Houndstooth pattern. 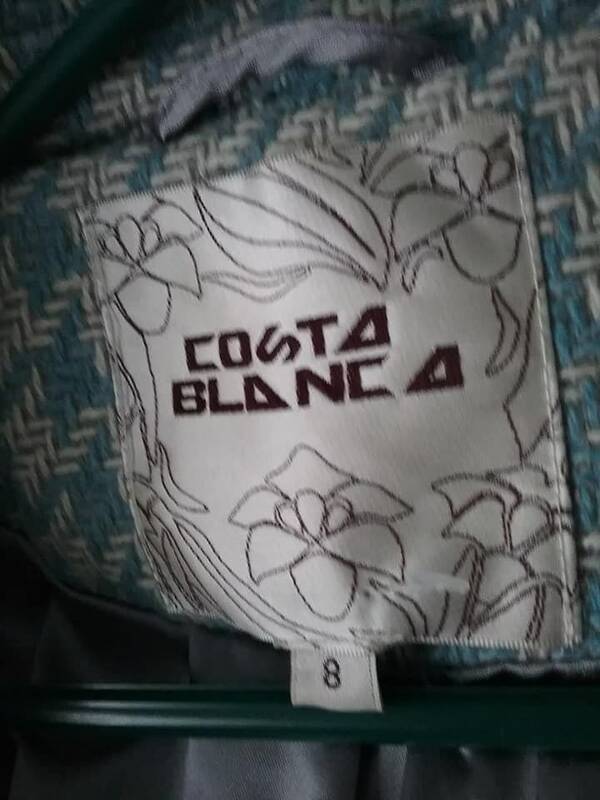 Costa Blanca, size 8, it has beautiful detailed grey accents around buttons, and on sleeves. 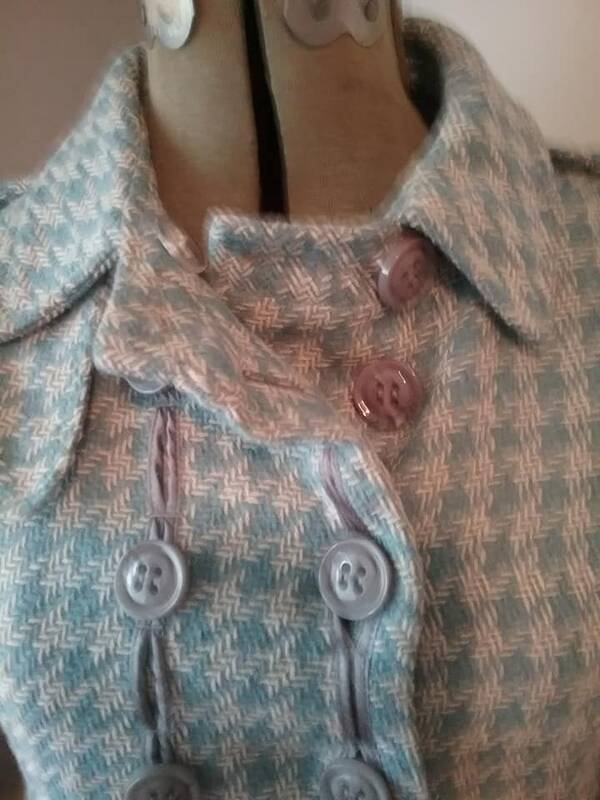 The lining is grey (100% polyester) as well as the buttons. 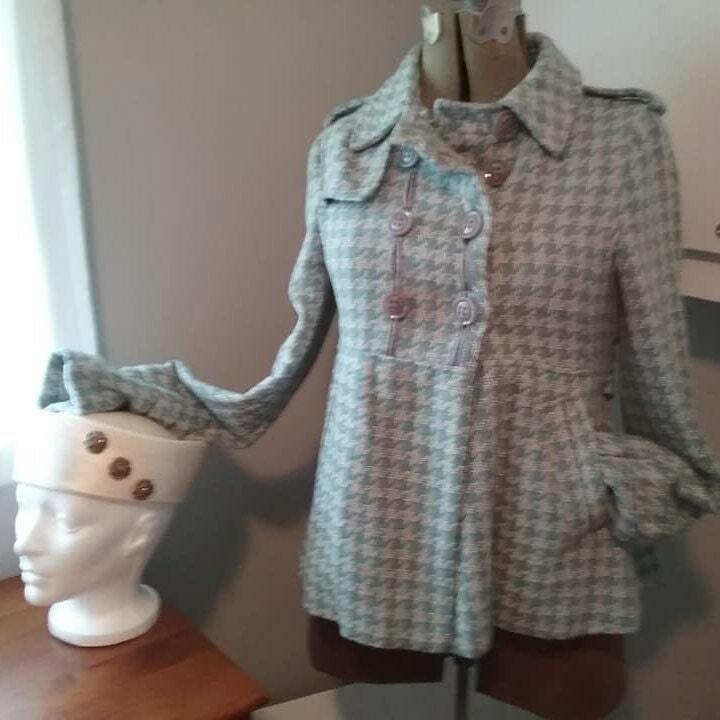 Very good - excellent vintage condition. 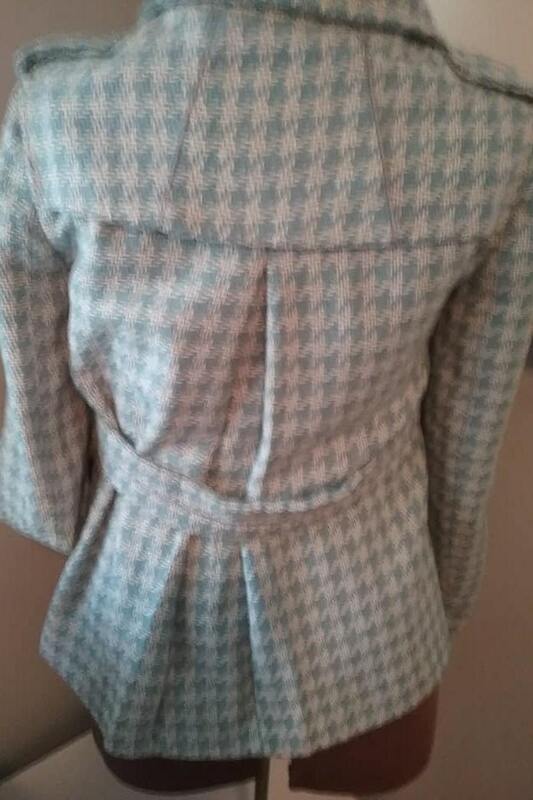 Very detailed, the wool/polyester blend has two tabs on shoulders, two front slit pockets, a pleated back with a partial back belt and capped shoulder. 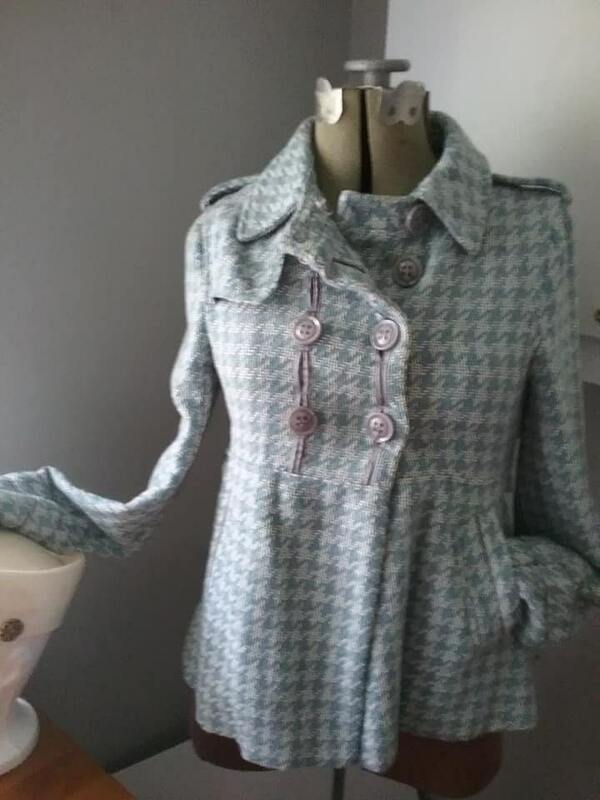 Exquisite sums it up!